A year ago, The Elders came together in South Africa on the tenth anniversary of our founding by Nelson Mandela in 2007. 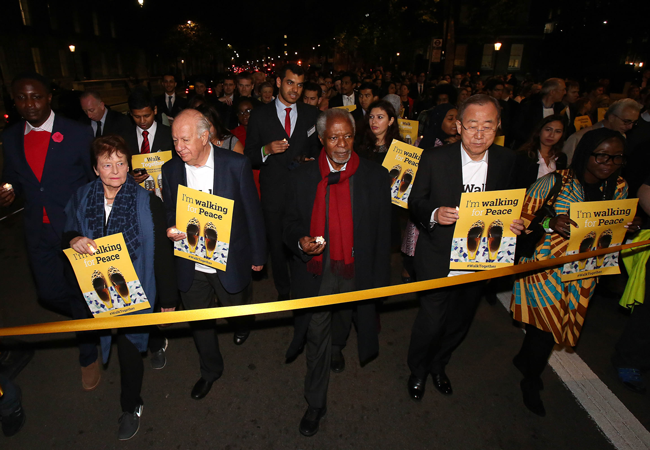 We had a joyous celebration in Cape Town, reflecting on a proud decade of achievements, and used the occasion to launch a new campaign – “#WalkTogether” – to champion the freedoms Madiba believed in so dearly. For those of us who knew and loved him, Madiba, as he is affectionately known, will forever be the man who, together with his generation, led his people to freedom. He, along with so many others, suffered under and then vanquished the evil of apartheid, and built a new democracy with extraordinary strategic vision. Millions of people are alive today who were not even born when Mandela walked out of prison a free man. What is remarkable, and what gives me hope for the future, is how his life and legacy continue to inspire these younger generations. 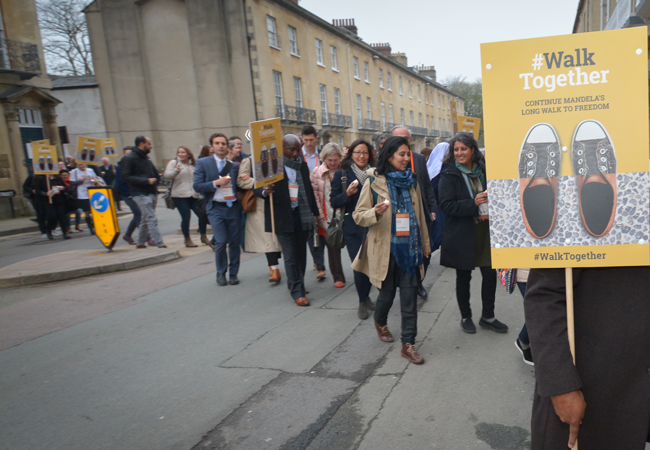 This month, The Elders will be returning to South Africa to join the worldwide celebrations for Madiba’s centenary, and also to mark the culmination of our #WalkTogether campaign. In Johannesburg, we will champion 100 “Sparks of Hope”. These “Sparks of Hope” are grassroots organisations from all corners of the globe and are comprised of peacemakers, human rights defenders, justice advocates, feminist campaigners, LGBT rights fighters, and community health workers. In all the varied aspects of their work, they carry forward the message Madiba left us: to work together for the freedoms that we should all enjoy as one human family—the freedoms of peace, justice, health and equality. The Sparks of Hope are working with their communities to realize these freedoms every day, often without visibility or public recognition. 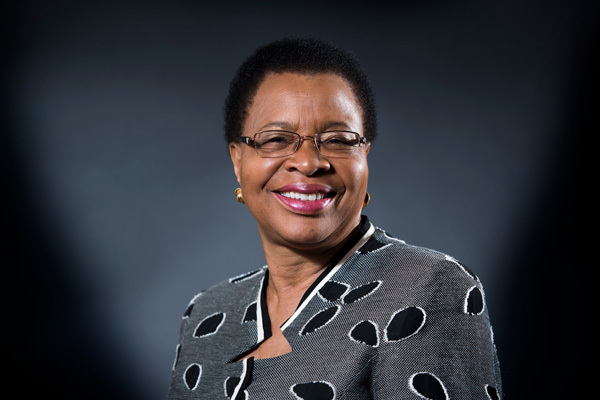 In a modest way, The Elders are serving as a platform to amplify their voices so that their inspirational messages and actions can be heard and seen by a wider global audience. It is a source of pride to me and everyone involved with The Elders that we have succeeded in reaching out to millions of people worldwide and promoting messages of peace, tolerance, inclusion and justice. 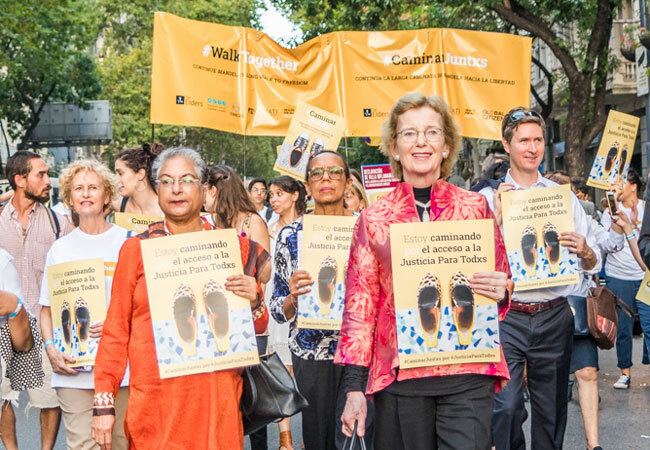 Through social media and digital platforms, we have built a global network of grassroots voices passionately committed to the four pillars of #WalkTogether: peace, justice, health and equality. We have also organised memorable events with civil society networks in Cape Town, London, New York, Tokyo, Buenos Aires and Geneva, and will do so in Johannesburg on 18 July. I hope that you will follow our activities in Johannesburg online, and share your own thoughts and messages on the Sparks of Hope that inspire you in your own lives. The world today desperately needs hope in the face of conflict, inequality, racism and cynicism. We need innovative, creative and audacious ideas to tackle the challenges that confront us and counter widespread pessimism. Madiba understood the enormity of this task. He requested us to join him in his long walk to freedom and placed the responsibility to carry his vision of social justice forward squarely in the hands of everyone. Today, let us follow in his footsteps with humility, but also in determination to do what we can to create a world of which he would be proud.